Hello inky friends! Creating colorful thinking of you/sympathy style cards are one of my favorite ways to send sunshine to someone who is going through a tough time or who has lost a loved one. To balance out the color, I did some Alcohol Lift Ink stamping with a Beautiful Flowers 2 image and finished with a stacked die cut greeting and stamped and embossed sentiment strips on vellum. The Mini Flowers & Leaves were die cut from trimmed strips of the alcohol inked backgrounds in order to not waste any of the pretty paper! The new Alcohol Pearl Inks in Deception, Splendor, Alchemy, Sublime, Tranquil, and Villainous were used with the Ranger Alcohol Ink Tools paintbrushes to create "controlled" rainbow striped alcohol inked backgrounds on Yupo Paper. I set aside the backgrounds to completely air dry. The drying process can be sped up with a heat tool, if you wish, as well. When I am creating alcohol inked backgrounds I prefer to made several at once while the supplies are out and my work surface is already messy! The large floral image from the Beautiful Flowers 2 Stamp Set was placed in a MISTI, inked with Alcohol Lift Ink and stamped over the rainbow backgrounds. The ink was then blotted dry with a clean paper towel and finally buffed to reveal the lift image of the flowers! I trimmed each background a bit differently to remove any area that wasn't stamped as nice as others. Each panel measures 4" x 5 1/4". I kept all the scraps to die cut later. The Thinking of You Die was die cut three times each for every card, adhered one on top of another and glued to the backgrounds as shown. Additional sentiments from the Moments of Grace Stamp Set were stamped on vellum with clear embossing ink and heat embossed with white embossing powder before being die cut with a Nested Banners Die. The vellum banners were run through a Xyron Sticker Maker and adhered over the background. I love that by using vellum, the beautiful backgrounds are still visible! Mini Flowers & Leaves were die cut from the leftover alcohol pearl inked backgrounds and adhered to the design to a bit of embellishment. The center of the flowers were adorned with Pretty Pink Posh White Jewels. Today I'm sharing a card combining the brand new Birdie Wreath Stamps and Dies with the Gatefold Fence Die for a sympathy card. 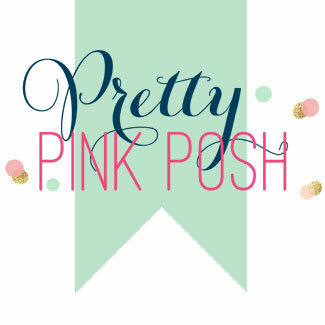 The images and dies could be used for any holiday or occasion, which I absolutely love! The Birdie Wreath Stamp Set even has holly & berries and a darling stocking cap perfect for adorable winter/Christmas themed card designs! The background for my design was created by inking smooth white cardstock with Mermaid Lagoon Distress Ink and the MFT Mini Cloud Edges Stencil. Grassy Trio Borders were die cut from Hero Arts Kiwi Cardstock and then the edges were inked with Mowed Lawn Distress ink. The Gatefold Fence was die cut from Lawn Fawn Woodgrain Neutrals Cardstock and inked with Gathered Twigs Distress ink. The larger Grassy Trio border was placed on the stenciled cloud background and then the two Gatefold Fence pieces were wrapped around the panel and secured. These could be used for an interactive element, too. I used them as a design/decorative element but they would be so cool used to open up and reveal a surprise behind the gate! A sentiment from the Sending Hugs Stamp Set was stamped on the other border using clear embossing ink and heat set with white embossing powder before being adhered to the design with foam adhesive. The wreath, flowers, and birds from the Birdie Wreath Stamp Set were stamped on Bristol Smooth Cardstock with Versafine Onyx Black Ink, colored in with Zig Clean Color Real Brush Markers, and die cut with the coordinating dies before being adhered to the scene card as shown. Please email support@mamaelephant.com with your information! Hello everyone, welcome to the Waffle Flower January 2019 Release Blog Hop! Starting with this release, all of our dies will come de-tabbed and pre-arranged on magnet storage sheets. Dies smaller than 4"x4" are still adhered to a backer card with tape. Yay!!!! We've added Enamel Dots to our line. They are customized to include lots of the tiny dots that our cardmakers love. We have three designs for this release. The Clean & Clear set includes both white and clear dots, perfect for adding dimension and shine to any color combination. Stardust includes white and silver glitter dots. Up & Running features 7 colors of dots from the rainbow of Waffle Flower ink colors. Don't forget to check them out in the ink section on our website! Today I'm sharing two different themed card created in the same color scheme: peachy red! Abandoned Coral and Dried Marigold is one of my favorite color combinations and it works just as beautifully for a non-traditional colored Valentine's card as it does for a thinking of you design. Both background were inked and then stenciled with the Simon Says Stamp Large Falling Hearts Stencil. Both cards feature sentiments stamped with Abandoned Coral Ink rather than a black ink. This was a conscious decision to better coordinate with the overall look and feel of each card design. The Valentine Card features sentiments from the Favorite Valentine Stamp Set and the hugs card features sentiments from the Group Hug Stamp Set on the front of the card and Here For You Stamp Set on the inside of the design. The borders on the Valentine Card were created by inking plain white cardstock with Abandoned Coral Ink in order to perfectly match the inked and stenciled strip. The large heart die from the Favorite Valentine Die Set was die cut from the inked and stenciled panel and then inked over with Abandoned Coral for a solid heart that shows up more against the rest of the design. The heart was stamped with greetings from the Favorite Valentine Set using clear embossing ink and heat setting with white embossing powder. The heart was adhered directly to the card base and the rest of the panel was adhered with foam adhesive. Images for both cards were colored with Zig Clean Color Real Brush Markers. The images were stamped on Bristol Smooth Cardstock with Versafine Onyx Black Ink, colored, and die cut with the coordinating Favorite Valentine and Group Hug dies. Nuvo Crystal Drops in White Blizzard were used to embellish some of the hearts on the Valentine's card and Heart jewels were glued to each design for a bit of dimensional embellishment. A black gelly roll pen was used to add detail to eyes, noses, etc. on the images. Welcome to the Waffle Flower December Release Blog Hop! Waffle Flower's 2018 December release is sweet and simple. Halftone Background stamp set features a gradient of dots that can be overlapped and stamped in two colors to create the look of a blended background. In this release you will also find the lovely Thinking of You stamp set featuring the same girl from our Always stamp set hugging the cutest cat ever. The Cookie Love Stamp Set (stamp, die, combo), illustrated by Big Bear and Bird, is perfect for anyone wanting to send some love or get a jump on their Valentine’s cards! And the 2x3 Lettuce stamp set (stamp, die, combo) offers a cute punny greeting for a friend. Today I'm combining the brand new Thinking of You girl and kitty stamp with the super awesome and versatile Halftone Background. The Halftone Background works with everything. It's amazing! I want to make all the backgrounds with it! The girl from the Thinking of You girl stamp set was stamped on Bristol Smooth Cardstock with Versafine Onyx Black Ink and masked with masking paper. The background was lightly inked with Spun Sugar and Picked Raspberry Distress Inks and then the Halftone Background was stamped over the masked image with Picked Raspberry and Spun Sugar Distress Oxide Inks. I switched up the inks because the Distress Oxide inks have pigment ink in them and the coverage is a bit better! I removed the mask and just fell in love with the background. So awesome! The girl and kitty were colored in with Zig Clean Color Real Brush Markers. I didn't bother masking the leaves and flowers as they are pretty small. The incredible thing is that Distress Inks and Zig Clean Color markers are both water based and work well together. That makes my life easier and I'm all about that, aren't you?!!! A sentiment from the Thinking of You girl stamp set was stamped on Simon Says Stamp Slate Cardstock with clear embossing ink and heat embossed with white embossing powder. The gray cardstock strip was adhered to a Passionate Pink Cardstock strip and adhered along the bottom edge of the card front. The design was finished with a scattering of Honey Bee Stamps Hug Me hearts and a layer of Nuvo Crystal Drops in White Blizzard on the flowers. Shop the entire new December Release HERE. Besides the December release, Waffle Flower has also added 100+ new items to their Last Chance section HERE. Use code LASTCHANCE at checkout for 25% off these items! 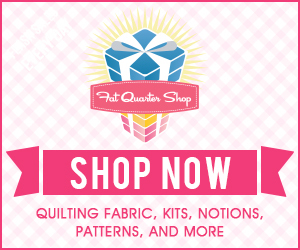 Welcome to the STAMPtember Blog Hop Party! "STAMPtember® (stmp-tmbr) is defined by Simon Says Stamp… an event intended to inspire, educate, and celebrate our community of stampers. Simon Says Stamp was founded in 2002 with an obsession for rubber stamps. However, it didn’t take long until we became a One Stop Shop. 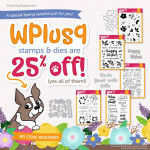 Now Simon Says Stamp and STAMPtember® is so much more than stamps! This year you’ll also see a focus on many other exciting products like dies, notecards, and some very special surprises. Our intention is to be your one stop shop in this awesome community!" Throughout STAMPtember we will be celebrating every day posting exclusive collaborations, contests, prizes, special promotions, announcements, and more surprises! Simon’s blog will announce what we have planned every day. For more STAMPtember Inspiration, please visit the Simon Says Stamp blog HERE for links to all the designers participating in today's party! Today I'm sharing a couple of new cards featuring the Beautiful Flowers 2 Stamp Set, coordinating dies, Tiny Words Stamp Set, Mod Stripes Stencil, and Sentiment Labels Dies. Flowers are always a good option for so many occasions. Using the same general design, I created both a thank you card and a sympathy card. The flowers from the Beautiful Flowers 2 Stamp Set were stamped on Bristol Smooth Cardstock with clear embossing ink and heat embossed with Antique Gold Embossing Powder before being watercolored with Zig Clean Color Real Brush Markers and a water brush pen. Once dry, the flowers were die cut with the coordinating dies. Background were created by inking Bristol Smooth Cardstock with Tattered Rose Distress Ink and then stenciling over the lightly inked background with Tattered Rose and Aged Mahogany Distress Inks with the Mod Stripes Stencil. Gold paint flecks were splattered over the background using a Kuretake Gansai Tambi gold color and a small paint brush. When the paint was dry the flowers for both cards were adhered to over the stenciled backgrounds as shown. Sentiments from the Beautiful Flowers 2 Stamp Set and Tiny Words Stamp Set were stamped on smooth white cardstock with clear embossing ink and heat set with Antique Gold Embossing Powder. The sentiments were die cut into strips using the awesome new Sentiment Labels Dies. On one of the cards, I used the die to make the sentiment into more of a banner and on the other one I trimmed it straight. Either way you use them, they are a fantastic staple that make creating the perfect sentiment strips so easy! Both strips were adhered with foam adhesive. Nuvo Crystal Drops in Pale Gold were scattered throughout each design to finish the cards. Hello friends. I am still working on replenishing my supply of sympathy and thinking of you style cards. I decided to go in a bit different direction today with colorful, bright sympathy and sorry cards featuring the new Honey Bee Cosmos Stamp Set, coordinating dies, With Sympathy Stamp Set, and With Sympathy coordinating dies. A rainbow stenciled background with Distress Ink and the Simon Says Stamp Square Dance Stencil is the perfect backdrop for these colorful cards. Backgrounds from Bristol Smooth Cardstock were trimmed to 4" x 5 1/4" and stenciled with the Simon Says Stamp Square Dance Stencil using Barn Door, Carved Pumpkin, Squeezed Lemonade, Twisted Citron, and Peacock Feathers Distress Inks. On one of the backgrounds I spritzed the background with water from a Distress Sprayer and the other I left it "as is". Flowers from the Honey Bee Cosmos Stamp Set were stamped on smooth white cardstock using clear embossing ink and heat embossed with white embossing powder before being colored and watercolored with Zig Clean Color Real Brush Markers. The flowers were die cut with the coordinating dies and adhered to the center of each background as shown. Greetings were die cut using the With Sympathy coordinating dies. The greeting was die cut from smooth white cardstock, the greeting shadow die cut from Bristol Smooth Cardstock and inked with Twisted Citron and Peacock Feathers Distress Inks. The sentiments were adhered with foam adhesive. Additional sentiments from the With Sympathy Stamp Set were stamped on smooth white cardstock using Versafine Onyx Black Ink, trimmed into thin strips, and adhered with foam adhesive. Each card was finished with a scattering of Nuvo Crystal Drops in Morning Dew. Sympathy cards are not my favorite cards to make (or send) but having them on hand when I need them has been on the forefront of my mind lately. I recently sent out the last of sympathy cards I had on hand so I'll be working on replenishing that category of cards in my personal stash. Coloring directly on stamps with water based markers is one of my favorite techniques that I haven't revisited in quite some time. These beautiful Simon Says Stamp Folk Dance and Modern Roses background floral stamps make the most beautiful watercolored backgrounds with this technique. The backgrounds were colored in with Tombow Dual Brush Markers. I used colors from both the Bright Pack (755 Rubine Red, 933 Orange, 133 Chartreuse, 296 Green) and Pastel Pack (243 Mint). I colored in the Simon Says Stamp Folk Dance and Modern Roses background floral stamps with the markers, spritzed the ink with water from a Mini Mister to reactivate the ink and then stamped the design on watercolor cardstock. I found working in smaller areas at a time worked best. By not cleaning my stamp in between stamping I was able to see where I had already colored and move on to the next section. Once the backgrounds were completely stamped, I let the backgrounds air dry. Watercolor cardstock is the best option for this technique because it absorbs the water so easily. Sentiments from the wplus9 Sympathy Lilies Stamp Set were stamped on smooth white cardstock with Simon Says Stamp Mint and Jellybean Inks. Ink choices make a huge difference here because they compliment the ink colors for the backgrounds. Soft and serene is perfect for these greetings. The greetings were trimmed into rectangles and adhered to the backgrounds with foam adhesive. Flowers from the Simon Says Stamp Bold Flowers Stamp Set were colored with the same Tombow Dual Brush Markers as the background, spritzed with water from the Mini Mister and stamped on watercolor cardstock before being die cut with the coordinating Bold Flowers Dies and adhered to the cards with foam adhesive squares as shown. This technique works best with solid stamp images like the flowers, leaves, and backgrounds shown here. A Mini Mister applies a fine, even mist of water and is my preferred tool for reactivating the ink colored onto the stamps. Sweet little critters, a simple inlay frame, and sentiments make for a perfect sympathy card. Sympathy cards don't always have to be flowers (which I love and use often). I challenged myself to use critter images from the Mama Elephant Dandelion Wishes Stamp Set for a sympathy card. The soft muted colors and simple design make this a great option for a sympathy/prayers card. The background of the card was created by stamping the long border Brush Strokes images on smooth white cardstock with Mama Elephant Moonlight Pigment Ink. The "prayers" sentiment from the Blessed Stamp Set was stamped with Mama Elephant Smoke Ink and the rest of the greeting was stamped above the scripty word with Versafine Onyx Black Ink. The background was die cut with the thin Dotted Detail Frame, keeping the outer frame and inside panel and discarding the thin frame. The Dotted Detail frame was die cut again from silver metallic cardstock. The three pieces were then adhered onto a white top fold card base to create the inlay background. I love this technique and it's a go-to for creating an eye-catching border on a simple design. Images from the Mama Elephant Dandelion Wishes Stamp Set were stamped on smooth white cardstock, colored in with Copic Markers, and die cut with the coordinating dies. The images were adhered to the scene as shown and white detailing was added with an opaque pen to finish the design. 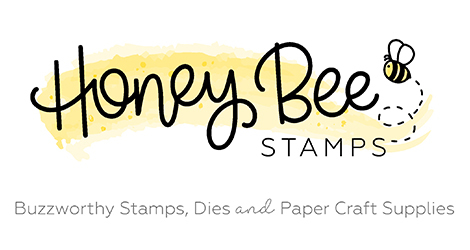 Welcome to the Simon Says Stamp Cherished Release Blog Hop! This new release has stamps, dies, sequins, and very detailed stencils. The link to the release is HERE. Be sure to check out the amazing gallery full of amazing ideas for this Simon Says Stamp release and all the others. This is a great source of inspiration! The Rebecca Lace Background Stamp was stamped slightly off center on Lawn Fawn Blue Jay Cardstock using Versamark Ink and heat embossing with the Simon Says Stamp Fine Detail Gold Embossing Powder. This is s super intricate background design and is absolutely stunning as is however I decided to take the Gansai Tambi Starry Colors pigments and watercolor the white gold and red gold colors from the set into parts of the embossed design for an even more beautiful look! For the greeting on these cards, I die cut a medium heart from vellum using a Wonky Hearts Die and stamped greetings from the Thoughtful Messages Stamp Set on each using Versamark Ink and heat embossing with Simon Says Stamp Fine Detail Gold Embossing Powder and White Fine Detail Embossing Powder. The greeting hearts were adhered to the center of the design on the backgrounds as shown and each card was finished with a scattering of Nuvo Crystal Drops in Pale Gold and Copper Penny. For the Metallic Copper Envelopes, border greetings from the Envelope Greetings Stamp Set was stamped along the back flaps with Versamark Ink and heat embossed with White Fine Detail Embossing Powder. 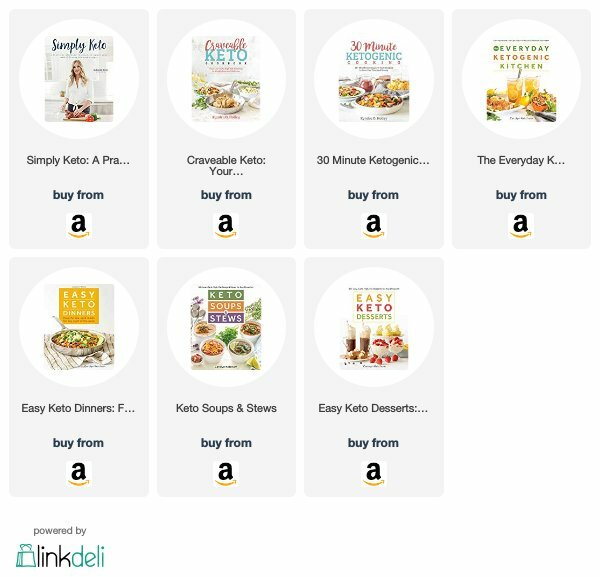 Click the thumbnails below to purchase the products shown in this post from Simon Says Stamp. Where available I use compensated affiliate links at no extra cost to you. Thank you so much for your support! Your next stop on the hop is the amazing Suzy Plantamura! Today I'm sharing a couple of cards featuring the components of the Simon Says Stamp July 2016 Card Kit and the new Hydrangea Petals Dies from the latest Among The Stars Release. Sponge inked florals were custom inked to perfectly match one of the patterned papers from the kit. I loved this paper from the kit so much I managed to use it for two cards instead of one! I die cut the patterned paper using one of the Basic Rectangles Dies. I die cut some of the white cardstock from the kit using two Basic Rectangles Dies twice, to make two frames for the inside panel. I used post it tape to hold the two frames together so that each time I cut the frame it would be exactly the same size. I die cut a bunch of flowers from some of the white cardstock in the kit using the Hydrangea Petals Dies. Using sponge daubers, I applied the Steel Blue and Thistle Hybrid Inks from the kit onto the die cut flowers. One of the great things about this direct ink to paper technique is that with dye inks, they will look dark and maybe even a bit splotchy when applied but as the ink is absorbed and dries, the colors smooth out and you're left with flawless, beautiful, perfectly coordinating die cut pieces! I die cut a banner from some of the leftover white cardstock using one of the new Basic Banner Dies and stamped the greeting from the Handwritten Floral Greeting Stamp Set on the banner using the Steel Ink from the kit. I adhered the die cut patterned paper rectangle to the center of a top fold card base and glued the frames around the center panel, one on top of another. I glued the banner in place and then layered the flowers and secured them to the card as shown. I finished each flower with a Doodlebug Blue Jean Mini Pearl. For my second card, I took the remaining patterned paper leftover from the first card and die cut a banner using another Basic Banner Die. I trimmed a piece of dark gray cardstock (also from the card kit) and stamped and embossed a greeting from the Handwritten Floral Greeting Stamp Set. I adhered the greeting to the banner and then adhered the banner to another top fold card base. I added three layered florals to this card and rounded the corners with a 1/2" corner rounder to complete the design.